A photo of The Old Man of Storr on the Isle of Skye taken on my Canon T90 camera. This particular photo was taken on Fuji Velvia ISO 50 film. Remember a thing called film? Not faraway from this photo (just over my right shoulder in my minds eye) stands travel photographer Gavin Hellier playing with his new Canon DSLR camera. Mr Hellier looks really happy with himself after beating me at the game of chess in his VW camper; smug git. Did I do ok? Are the comments working? What does this Publish button do?…. …ah, ok, slight problem. Hargreaves we have a problem. Next hurdle is to try and resolve why WordPress is stripping the metadata from my photos. So I’m in business as a photographer and I want to connect my images to people who may like to use them. In return I expect to be paid something. That’s why I want keywords embedded in the metadata of my image. Some chap wants this photo hanging on his toilet wall, as a canvas print. He likes the green because it matches the colour of the loo brush handle. He searches for “Green, Ghost, Surreal” and finds my photo. BUT, now imagine the keywords have been removed, stripped from the photo. How can a customer find the image they want to purchase?… Have you tried image search telepathy lately? …trust me, it’s difficult. Keywords are a crucial marketing tool for photographers. I want my copyright info to be embedded in the photo because I worked my arse off to get this photo, and I want everyone to know that I am the copyright holder. My business name and website is embedded in the photo. It’s there, inside the photo , at the back door quietly waiting to be read. Search for my photography business on Google and you may find me at the top of the first page (hopefully at the top). If someone wants to use my image, they can contact me by using a telephone, by email or carrier pigeon. And I’ll give my potential customer a warm & friendly response. With metadata intact it really does take a matter of seconds to find the creator. …so I thought I’d start with my own website. A website that keeps the metadata intact on every image. But blimey guv it’s not as simple as that! This very website is built using WordPress, and WordPress is automatically stripping the metadata when I resize my images. Fair enough, the big original image still has the metadata. It’s a start. The smaller resized images including the thumbnails do not. That’s not good for me. I’ve got my web technical guy trying out all manner of plugins and workarounds but it’s not looking like a quick fix, I feel for him. It’s very technical and confusing stuff. Code. 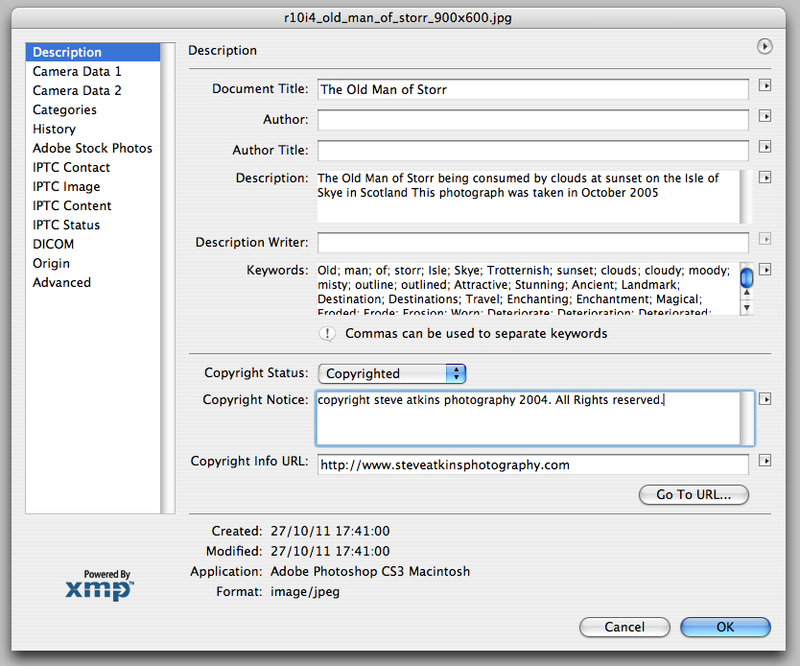 Just don’t expect a customer to find your photo so easily without the metadata intact…. I feel your pain. I discovered the same problem with Drupal when we were migrating the Stock Artists Alliance website and later creating the http://www.photometadata.org website. After much research, I discovered that the problem is not with these web applications/services themselves, it’s with the underlying program used to resize images for the page. The two most popular are ImageMagick and GD. While the default for ImageMagick is to preserve your embedded photo metadata, many IT folks turn this feature off as the process runs more quickly. This might be an issue for a huge site, but for your own blog it shouldn’t be. 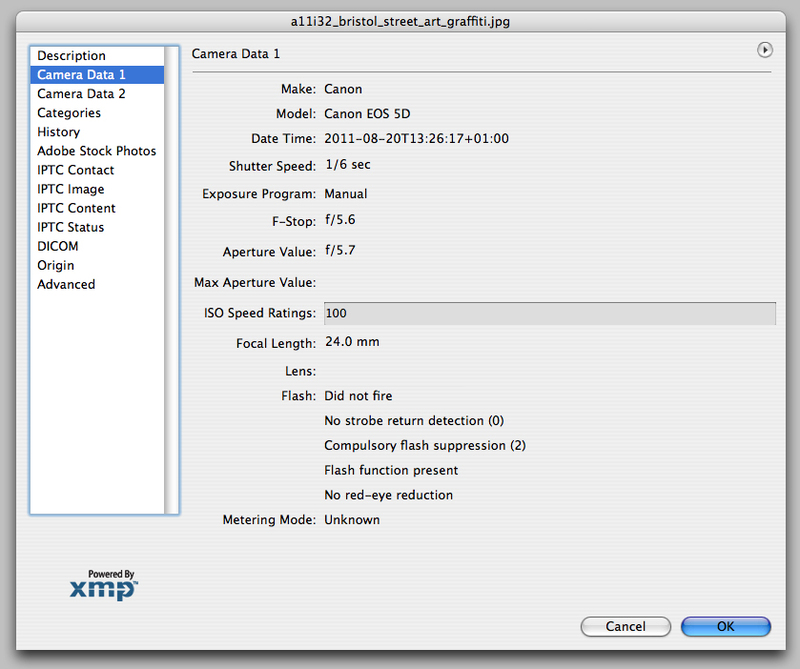 The bigger culprit is GD, as it has no idea what photo metadata is, and doesn’t bother saving it. If you can get the host to change to ImageMagick, and have them set it up so that it doesn’t munge your photo metadata, then you may be able to solve this problem. BTW, you might also want to take a look at http://www.controlledvocabulary.com/socialmedia if you want to see what other social media and photo sharing sites are doing (results are all across the board). 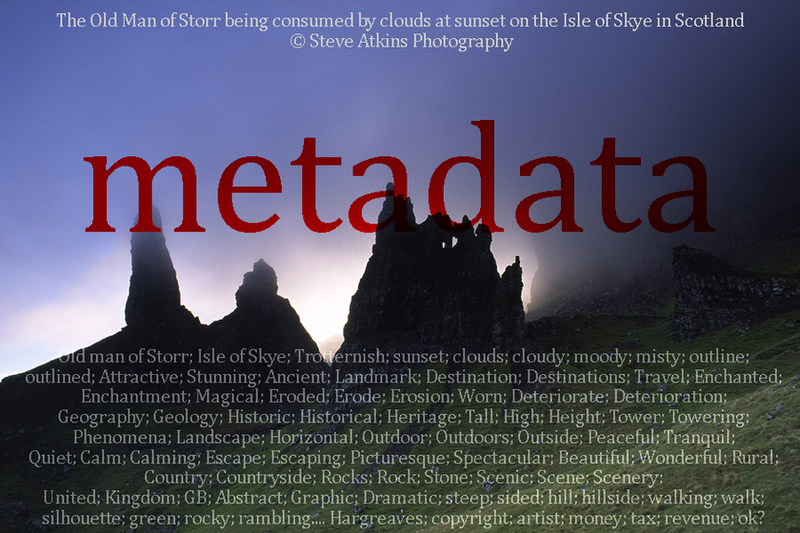 Thanks for sharing with others what Photo Metadata is and why it’s important! Hi David, thanks for this, very helpful indeed. So much info in those links! Definitely passing this onto my web tech.